One of our new favourite playgrounds is in the Crestwood neighbourhood. 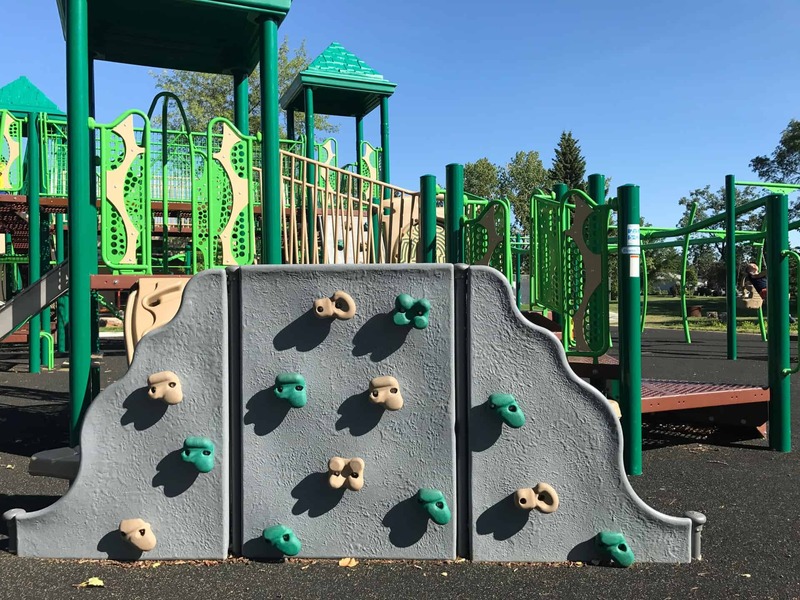 The Crestwood Community Playground Edmonton is a great option for kids of different ages, and does a great job at incorperating something for every single age. From swings for infants, to a small toddler playground with a toddler-sized climbing wall, to an adventure structure for older kids that provides 12 ways to climb up, it’s a new favourite with our 8, 5 and 10 month old. Comfortable bench seating for parents, with shade! 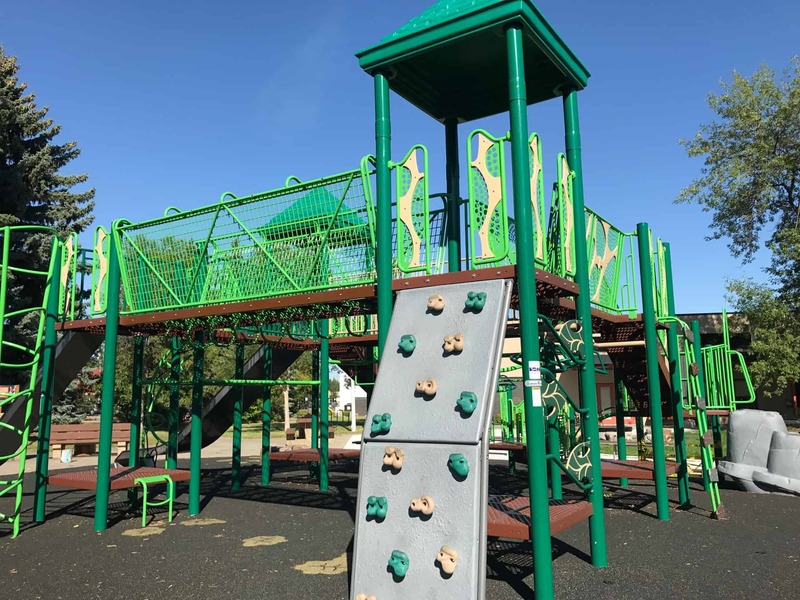 We love the fact that there are adventures at this playground for all ages, from the climbing wall for the toddlers and the toddler play structure, to the larger, higher structure for children that are more adept in their climbing abilities. For parents, the comfortable seating is a plus, with plenty of spaces to choose from, in the shade. The benches are surrounded with plenty of green space for children to explore while they’re playing around the structures and swings. 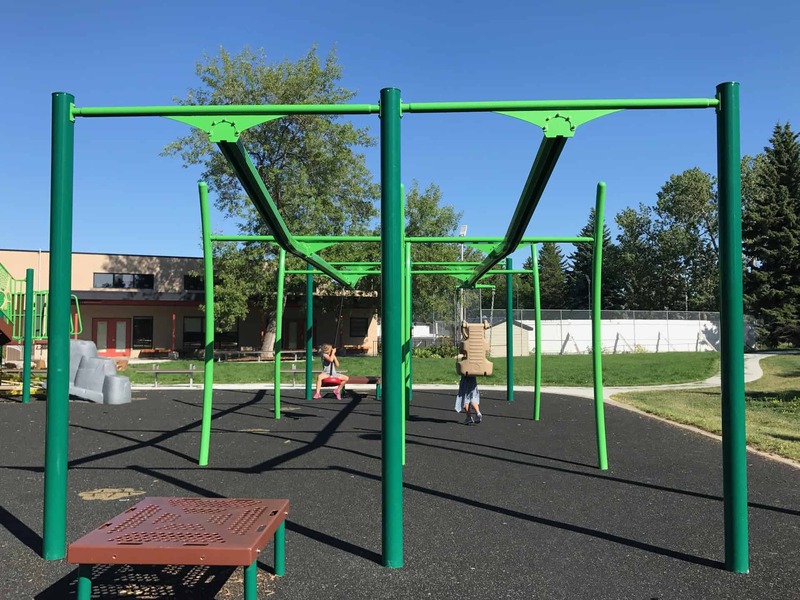 Find the Crestwood Community Playground at 14325 96 Ave NW. There is plenty of parking on site, and the playground can be accessed through a path from the community rink.